The Puccini Festival is an annual summer opera festival held in July and August in Torre del Lago, near the lake of Massaciuccoli, Versilia. The location of its open-air theatre, the Teatro dei Quattromila (The Four Thousand Theatre so called for its seating capacity), is close to Giacomo Puccini’s house. The composer had the villa built in 1900, and here he lived and worked on his major works. Each year the Puccini Festival presents four or five performances of at least four operas. This year celebrates the 61st edition of the Festival and the season commences on July 24th with Tosca, which this year celebrates its 115th anniversary. The sets and costumes of the new production are by painter, sculptor and set designer Mimmo Paladino, one of the most significant representative of the Transavantgarde movement. Other performances will be held on July 31st and August 15th, 21st and 30th. Following on July 25th is Turandot, Puccini’s unfinished masterpiece. Conducted by Bruno Nicoli, two great tenors will alternate in the role of Prince Calaf: Rudy Park and Rubens Pellizzari. Other performances will be on August 7th, 16th and 23rd, whereas on the 28th the Festival will host a colossal Chinese production of Turandot. On stage will be the National Opera House of Beijing led by Maestro Yu Feng, certainly a extraordinary performance. August, 1st, 8th, 14th, 22nd and 29th, will see the performances of Madama Butterfly with the great Svetla Vassileva alternating in the principal role, that of Cio Cio San, with Silvana Froli and Anna Maria Stella Pansini. As by tradition, some of the operas’ roles are assigned to young talents discovered during the preceding edition’s singing Academy. On August 20th the young talents of the Academy will perform Il Trittico, a work composed of three one-act operas: Il Tabarro, a horrific episode, Suor Angelica, a sentimental tragedy and Gianni Schicchi, a comedy. Other events scheduled are the traditional Puccini award, a concert on August 9th by British band Spandau Ballet followed by two concerts of Italian vocal trio Il Volo on August 12th and 13th. On August 19th, instead, a homage to Puccini’s genius presented by French choreographer Julien Lestel. Together with Fanny Fiat and his company of dancers, Lestel will dance to a miscellany of famous arias, inspired by Puccini’s heroines, and performed by various opera singers. 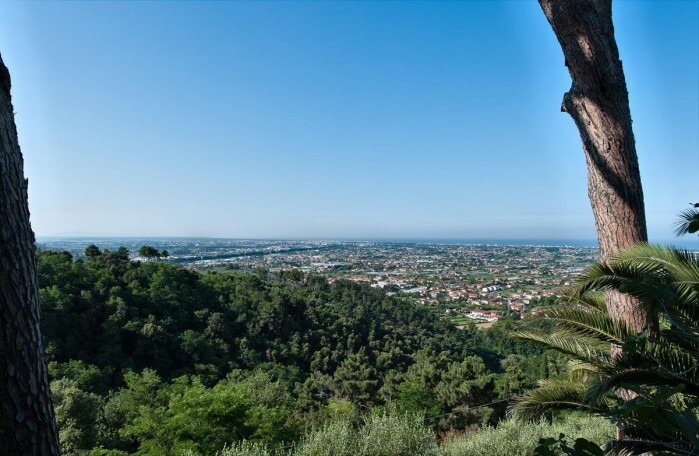 Certainly worth a visit to Versilia and its renowned coast. Questa voce è stata pubblicata in Accommodations in Versilia, Events in Versilia, Music and events, Tuscany e contrassegnata con Festival Puccini, Giacomo Puccini, Lago di Massaciuccoli, opera, Torre del Lago, Versilia, Viareggio. Contrassegna il permalink.